Kuryakyn Driving Light Bar & Lights. 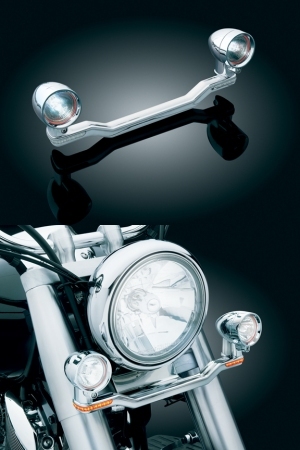 High quality die-cast chrome -plated bar with built in LED turnsignals. Includes 2 halogen silver bullet spotlights. Fitting kit is not included (see below). 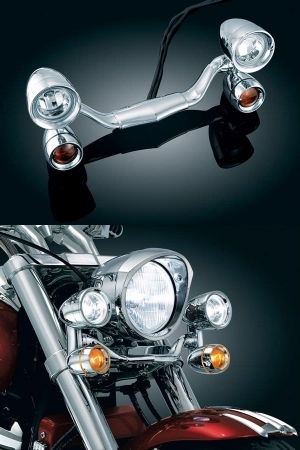 Kuryakyn "Constellation" Driving Light Bar & Lights. Comes with everything you see in the picture. 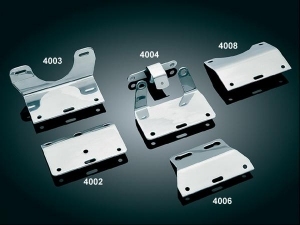 Kuryakyn mounting bracket for 4001 & 5001. 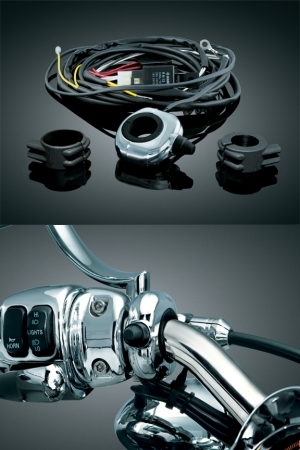 Kuryakyn universal spotlight relay kit.